The Bugeye Backcountry tour around the Florida Keys is a great thing to do when you have come all this way for vacation. That long trip to get through the keys should pay off in something that is magical to see. You are given a look at the keys that most people will not see, and you are given a tour guide who keeps you safe. The backcountry of the keys involves the little swamps and forests that are on these islands. The keys are fun to visit because they are so far off the peninsula, and it is interesting that a lot of these locations can be visited. You can start with the guide any time that you want, and you must be certain that you have chosen to have the tour start at a time that you would enjoy. The backcountry is a place where many people do not go, and you might find out that you have locations to visit that even the locals have not seen. Get your tickets in advance when you are planning a trip to the location, and you must see if you can get the right time for your family. Ask about the number of people that you can bring along on the tour, and you might split into a lot of different groups that all get their own experience. 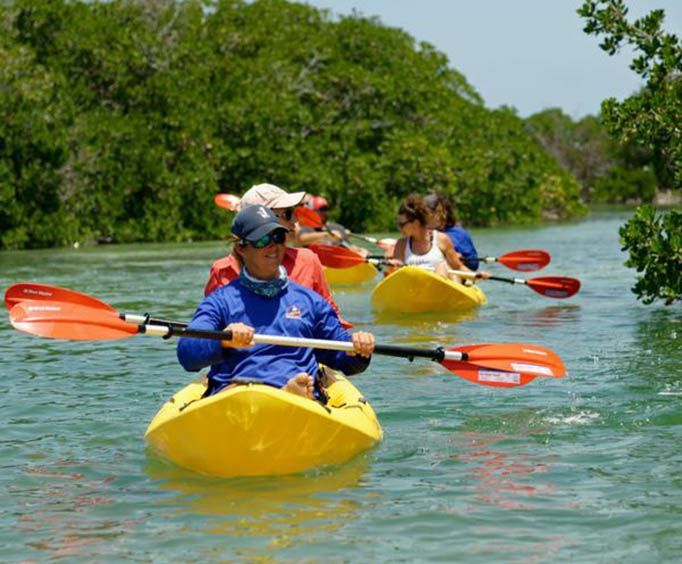 The Bugeye Backcountry tour is a great way to see the Florida Keys in a new light. Get the right kind of tickets for your group, and remember that you can use the schooner tour as a way to see the untouched parts of the keys. This intimate nature tour is limited to only 16 passengers, providing you with ample seating and room to spread out for your relaxing day on the tropical water. 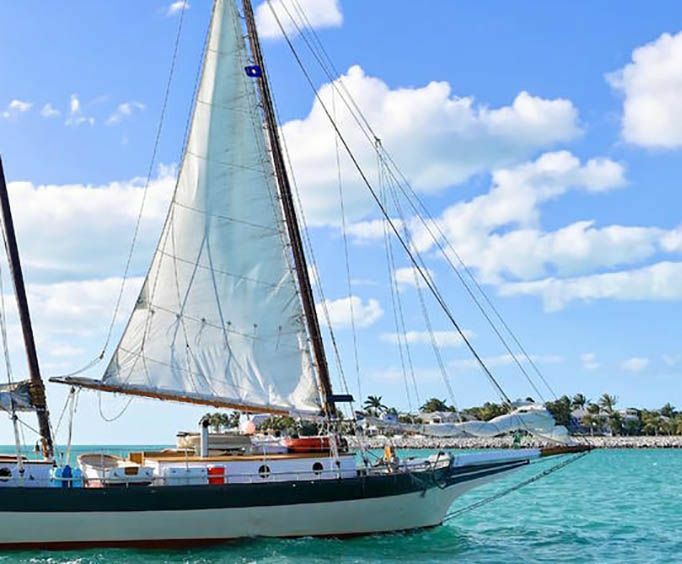 Departing from Key West's Historic Seaport at 10:00 A&period;m., the Appledore Star's sails are unfurled for an authentic sailing experience on the way to Key West's backcountry. If you always wanted to sail a tall mast wooden ship, this is your chance to help raise the sails and take a turn at the wheel. We encourage passenger participation! From there, you will glide through crystalline Gulf waters toward the first of several destinations on your eco excursion. Keep your eyes at sea in search of dolphins and sea turtles at play while the crew serves up a continental breakfast. From our very own Sebago kitchen will be a variety of different quiches, fresh seasonal fruits, and pastries to indulge in. Upon reaching the mangrove islands, the schooner anchors up and our exploration begins. Your day is divided between guided kayaking tours and guided snorkeling tours. 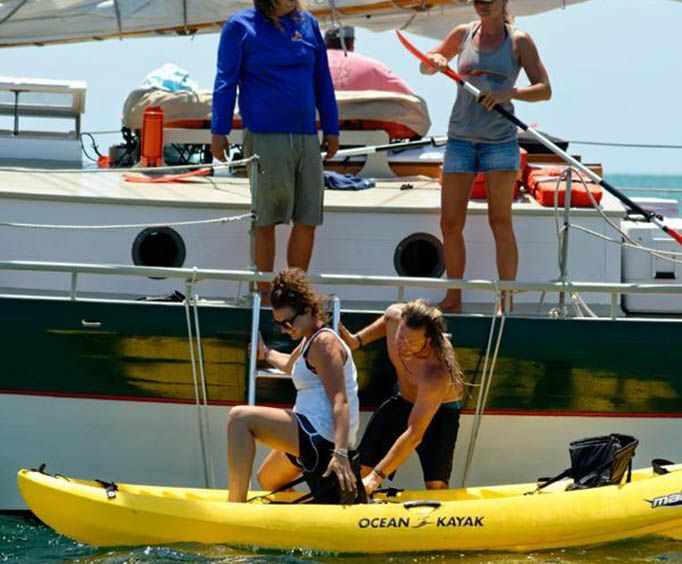 For kayaking, your crew will help you into your stable sea kayak, providing instructions as well as a narrated tour as you paddle through calm waters laced with mangroves and rich in wildlife. For the snorkeling portion of your tour, our experienced crew members provide professional instructions on our equipment and its use, along with information on the patch reef nursery systems and sponge gardens found within the protected marine sanctuary. Between destinations, a plentiful buffet lunch is served. Deli meats and cheeses, sliced ciabatta, sandwich accouterments, fried chicken, and Key West's famous pink peel and eat shrimp are just a few of the selections we serve daily. After your tours, come back aboard and wash off with our fresh water rinse. Find a comfortable spot to relax on deck. Choose from plenty of complimentary cold drinks - frosty cold beer, wine, Sebago's homemade sangria, chilled sodas and filtered water. This is the best of laid-back island living! Departure Times: 10:00 A&period;m. Please arrive at our office between 9:15 and 9:30 to check-in.